TeleSense, a grain storage Internet of Things (IoT) company based in Sunnyvale, California, has acquired Webstech, a Danish wireless sensor technology company that specializes in designing IoT technology for grain and food produce storage. This acquisition will help TeleSense sit on top of a remote-sensed database that is the largest of its kind in the world, offering its customers a complete suite of sensor technologies that have been validated globally across several grain storage environments. One of the primary nodal points within the global grain supply chain is storage, highlighted by the millions of tons of grains that are lost every year due to improper storage conditions. 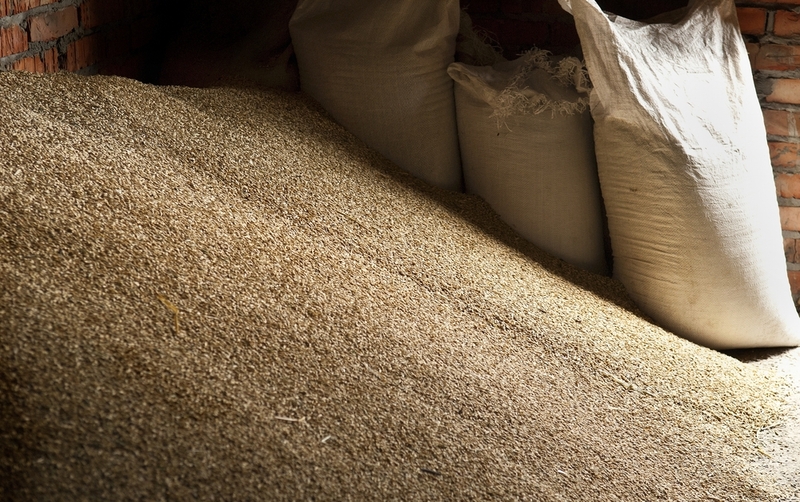 Within the sprawling warehouses that stock grains, it is critical to keep track of factors like humidity, heat, aeration and pests. Effectively guarding storage area not only helps to retain all the grain, but also helps in extending shelf life and maintaining nutritional value. Technologies like IoT have made these efforts more manageable, as wireless sensors placed in grain warehouses transmit data to the cloud for instant processing. Machine learning algorithms use historical and real-time data to define normal and abnormal conditions, alerting users about anomalous situations and helping them take quick action. TeleSense has found success across the U.S. and Australia with grain storage operators and transporters. TeleSense customers have seen increased profits through reduced spoilage and checks on grain quality using TeleSense solutions. Acquiring Webstech helps TeleSense expand its global footprint, with the company setting up a separate European subsidiary. “How grain is stored, handled and traded in the years to come will change as new IoT-enabled technologies take hold throughout the supply chain. We think that this acquisition by TeleSense will accelerate the mission of higher sustainability and efficiency in the grain supply chain,” said Peter Votkjaer Jorgensen of Maersk Growth Ventures, which along with Finistere Ventures was part of the $6.5 million Series A investment that TeleSense raised last year. The European office of TeleSense will now operate from Denmark, and integrate Webstech’s technology with its existing suite of solutions – including industrial automation capabilities, solar and battery power functionality, and alternate form factors such as sensor spears. TeleSense will also be privy to over 20 million temperature and humidity observations generated by Webstech sensors deployed across Europe, helping solidify its machine learning algorithms using the historical data. This is important, as the European market is fraught with complexities due to high regulatory standards – making it difficult for AgTech start-ups to gain a foothold in the space. Having the world’s largest grain storage database helps TeleSense leapfrog competition and hopefully dominate the comparatively nascent IoT-based grain tracking market. Webstech CEO Thomas Kylling will join the TeleSense team as managing director for Europe. He is expected to help expedite TeleSense adoption in the region by supporting current European customers and building out an elaborate sales team, while also focusing on driving automation across the grain supply chain.